Building your body is not an easy task. Other than taking in the required nutrition from whole foods, most builders now rely on food and dietary supplements to speed up the task. While protein supplements, fat burners, and energy boosters remain popular choices, more and more bodybuilders have been using creatine, which is a compound formed when protein is metabolized. To get you introduced to how creatine helps, here are some of its benefits. There are some instances wherein you aren’t able to finish your sets or your exercises due to muscle fatigue. This leaves you unfulfilled and may hinder you from getting any progress in your workouts. Creatine supplements actually help your muscles produce phosphocreatine. Phosphocreatine makes muscles better at short yet intense exercises that develop strength. Testosterone is naturally produced in the body and is released at a much larger rate when performing intense exercises. Since testosterone helps in muscle production, releasing more of it is beneficial for any bodybuilder. However, testosterone production declines as you age. If testosterone injections are too expensive for you, studies have shown that creatine intake during a period of intense training actually raises testosterone more than not taking creatine. While protein remains the most important nutrient in building muscle, studies have shown that creatine helps in adding lean muscle growth. As previously mentioned, creatine is naturally produced when proteins are metabolized. 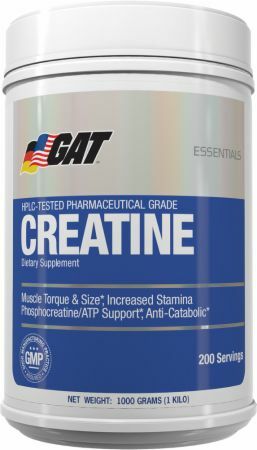 Creatine supplements help by giving the body the additional creatine it needs when your muscles feed on protein after a hard day of training.